This is exactly what a cappella needs more of. Interpretation is everything when it comes to cover songs, and there's no denying a performance that can keep the original message intact while delivering a fresh performance that can stand on its own outside of the original. 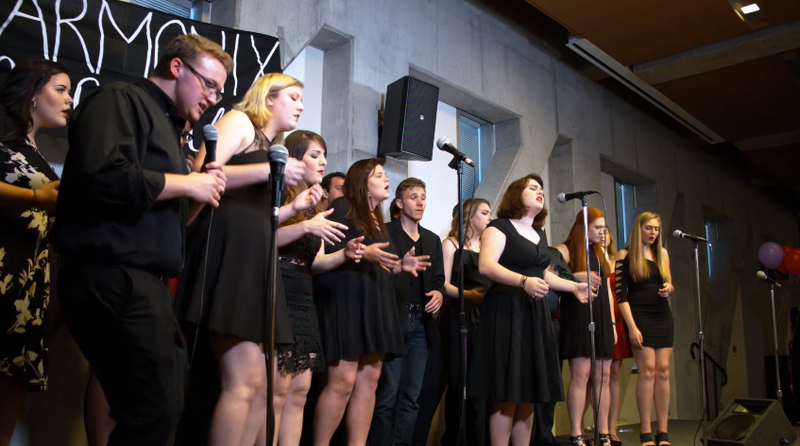 And when it comes to feeling a performance from beginning to end, you have to group this cover of "Ultralight Beam" by Appalachian State University's Enharmonix into that category. There are no standard pop qualities or gimmicky hip-hop impressions, no, it's all real. The song is all soul and all gospel from top to bottom and it's an astonishing representation of how a talented vocal group can really stretch both their sound and imagination.